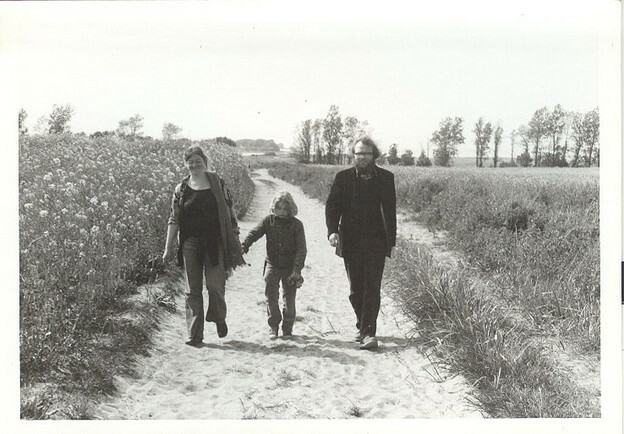 The Irby family taking a walk in Denmark, 1974. A query: Moritz and I are abt to get started on the reprinting of the Max Douglas poem, figuring to change the format to 5½ x 8, like say a New Dir. pb, and to add “Jesus” and “Delius” (keeping the same overall title though), along lines had been considering for some time (both Harvey Brown and Gerrit had suggested including those other two poems of the same time, two years back) — anyhow, the question is this: can you see using that piece you mentioned you’d done for Vort, but never got to Alpert in time, as a preface, postface, whatever, for this new edition of To Max D.? Since I ain’t seen what you wrote of course I don’t know how it looks etc, but how wd it seem to you? I don’t know Johns schedule on all this, but he seems anxious to get it under way soon — from my end of it, there isn’t much to do, very few revisions in any of the poems. & back here to the typing mill. How’s with you all? Bob sd you were looking for a place in SF, without luck (at that point, but since he sent the letter by regular mail it took almost 6 wks to get here — so what’s happening now? & such — I reckon you’ve got the big baby anthology Quasha and Rothenberg’ve done, which I must say I’ve dug digging around in, a lot, and as I said to Bob, any such compilation that puts me in between Emerson and Rexroth cant be all wrong. My best to Holbrook, whom I’ll be writing soon anyway (now that I finally got his address from Callahan) — hope the neck is ok again (how that happened Bob didn’t say)! Keep well!! 1. Irby to Dorn, 12 February 1974, box 13, folder 137, Edward Dorn Papers, Archives and Special Collections at the Thomas J. Dodd Research Center, University of Connecticut Libraries. 2. See endnote 7 (“February 12, 1971”). 3. Gerrit Lansing (b. 1928), poet, essayist, founder of Set, “funky scholiast,” and close friend and correspondent of Irby’s (see: “[Some Notes on House and Woods] for Gerrit,” in The Intent On, 657–659). 4. “Kenneth Irby/David Bromige,” special issue, Vort 3 (Summer 1973); see endnote 5 (“September 27, 1973”). 5. Bob Callahan (1942–2008), writer, teacher, publisher, editor of New American Journal, cofounder (with Eileen Callahan) of Mudra Press, and founder of the Turtle Island Foundation, which published, among numerous other titles: Carl Sauer’s Northern Mists (1973); Dorn’s Recollections of Gran Apacheria (1974); and Brakhage’s Film Biographies (1977), for which Creeley, Dorn, and Guy Davenport supplied section introductions. It’s likely Irby is referring to his work on Sauer’s Seventeenth-Century North America book, which Turtle Island published posthumously. For further information, see the introduction to Irby’s prose pieces about meeting Carl Sauer and James Malin, elsewhere in this issue. 6. Irby received a Fulbright travel grant in 1974. 7. This book will eventually become Catalpa. 8. Clarence Brown, translator, arrived at Princeton as an instructor the same year as Irby’s brother, James, in 1959, and both promoted to assistant professor in 1962. Irby (Kenneth) and Brown shared an interest in Mandelstam: in 1965, Brown had translated and published, The Prose of Osip Mandelstam (Princeton University Press), and in 1973, his critical study, Mandelstam (Cambridge: Cambridge University Press, 1973). In 1974, his cotranslation of the Selected Poems of Mandelstam (Macmillan), with W. S. Merwin, was imminent. 9. Eùgene Ionesco (1909–1994), Romanian playwright. 10. Clayton (b. 1935) and Caryl Eschleman. Clayton Eschleman is an American poet and translator who founded Caterpillar magazine, which published twenty issues between 1967 and 1973. 11. Alberto Cavalcanti (1897–1982), Brazilian-born film director and producer. 12. See endnote 8 (“September 27, 1973”). 13. Pierre Joris (b. 1946), born in France and raised in Luxembourg, poet, translator, essayist, cofounder and coeditor (with William Prescott) of Sixpack, which was active from 1972 through 1977, and a close friend of Irby. 14. Tom Pickard (b. 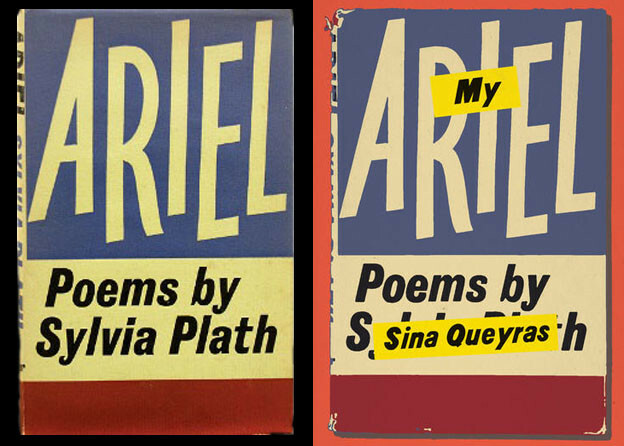 1946), British poet and filmmaker, founder of the Morden Tower Book Room. 16. Irby’s poem “Relation” appeared in between R. W. Emerson’s “Hamatreya” and Kenneth Rexroth’s “A Lesson in Geography” in the anthology America a Prophecy: A New Reading of American Poetry from Pre-Columbian Times to the Present, ed. George Quasha and Jerome Rothenberg (New York: Random House, 1973), 61–63. 17. Holbrook Teter (1930–1999), activist, printer, social worker, renaissance man, and cofounder, with artist Michael Myers, of Zephyrus Image, which produced hundreds of books, pamphlets, posters, and other printed items. Myers illustrated Dorn’s 1974 quasi-comic book edition of Recollections of Gran Apacheria, published by Bob Callahan’s Turtle Island Foundation. Teter designed the complete edition of Dorn’s Slinger (San Francisco: Wingbow Press, 1975), which remains unchanged in each reprint [Gunslinger (Durham and London: Duke University Press, 1989), and Collected Poems (London: Carcanet, 2012)]. 18. In the original letter, this addendum appears in the margin at the top of the first page, directly above the date.